When we think about eco-friendly vehicles, most of the time we think about electric and hybrid vehicles. At other times, we might even go as far as coming up with vehicles that operate on bio, solar or wind energy. However, this is not all. There are innovations that are breaking all the barriers of thought and technology. One such innovation is electromagnetic propulsion technology. We are seeing many vehicle designs that are utilizing it. Therefore, it would be no wonder if it becomes mainstream in our distant future. Electromagnetic induction is the next exciting idea of obtaining a clean, green and powerful propulsion for our vehicles. Since magnetic fields easily penetrate solids, liquids and gases alike, we can use this system to design vehicles that move on roads, over rails, in water and underground too. The propulsion system depends on the polarity of the strong and weak magnets. These vehicles would contain these magnets. Like poles will repel and act as an accelerating mechanism. Opposite poles will attract to act as a braking system. In addition, Multi-directional propulsion would be possible with the incorporation of more magnets along various sides. Transportation is definitely one of the major activities that mankind indulges in! And it is being done mostly via the use of fossil fuels today. With the fuel resources nearing exhaustion, it is time for a change towards non-conventional energy sources. A lot of work is going on to tap solar energy. While solar energy is inexhaustible, it depends on the presence of the sun which could be blocked underground and underwater or in particular seasons and climes. Therefore, we need an equally inexhaustible source of power which works everywhere, all the time. Electromagnetism could be the answer! This car runs entirely on electromagnetic induction! The wheels consist of two concentric rings. One is a permanent magnet while the other is an electromagnet. This electromagnet is powered by the Li-ion batteries that are installed in the chassis of the vehicle. Furthermore, it receives the same polarity as the magnet and results in a repulsive force that is translated into motion. When the car has to brake, opposite polarities are made to face each other. The attractive force gets translated into a braking mechanism. The car interiors are as luxurious and comfortable as any modern car. The car will be totally independent of the conventional sources of energy. It will be able to run for long distances. Cars that depend on solar energy need the sun and may not work well in some regions and some seasons. That does not apply to this car! The need for a fuel tank and a motor is almost eliminated! 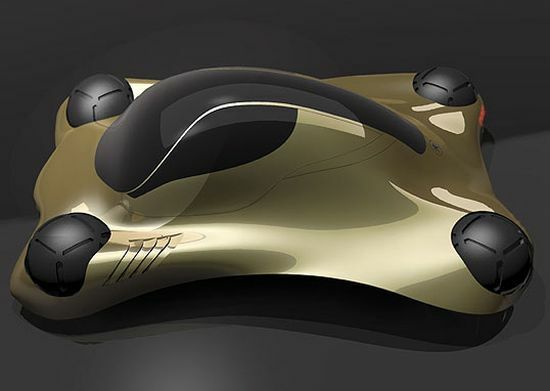 This is a magnetic aerodynamic concept that won the “Unseen Technologies Award” because it showcased the efficient use of two technologies in powering cars. The car is designed to run on magnetic roads which will interact with the electric engine in the car to generate a thrust. The seat too has been designed to fit the human body and is flexible in its shape. The magnetic repulsion because of the similar polarities of the road and the electric motor’s field, results in lightening the vehicle by 50%. In addition, this reduces the energy requirements to power the car thus increasing the efficiency of the car. The seat which contours itself along the lines of the human body provides maximum comfort. The Pandur is a completely green vehicle that will be powered only by electro-magnetic induction. 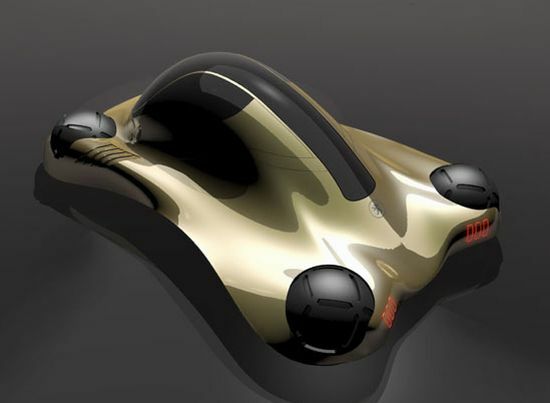 Similar to the 2020 concept vehicle, the vehicle has tires that generate its thrust. The wheels are spheres and they house the magnets and motors. They behave as the powerhouses for the car, generating an electro-magnetic field that will provide a thrust for the car. The car, when it hits the streets, will totally eliminate the need for gas stations! Unlike the electric cars of today, there will be no need for charging stations too! The car is completely self-sustaining and clean. If the concept meets with success, there will be great savings in the infrastructural development and the world will definitely become a cleaner and greener place. 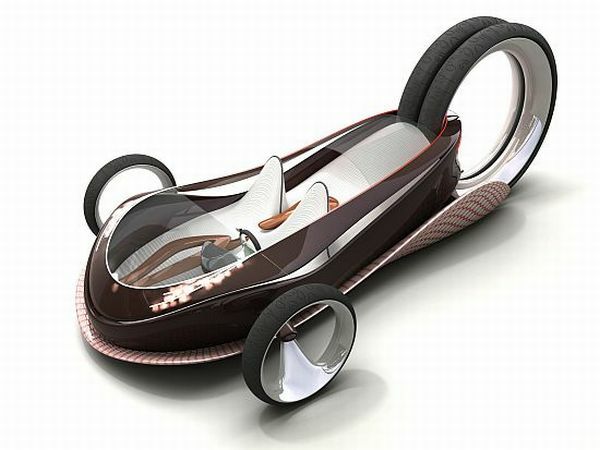 Eco Factor: Zero emission concept car powered by magnetic field. With concept designers crafting their fantasies into a consumable form, we believe that the era of tomorrow would be completely different than present days. 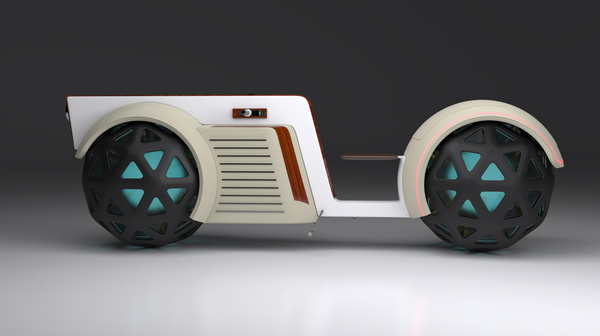 Harsha Vardhan, a car designer, thinks that apart from the cities, cars too would be completely different and powered by technologies no car manufacturer has tried till date. He fantasizes a car powered by magnetic field generated by on-board electricity powered systems. The Transporter TW (Twin Wheel) is based around an electric engine which produces a magnetic field to drive the large wheels. The wheel rims are suspended over a superconducting fluid where the changing magnetic field produces the motion needed to propel the vehicle. The power generator and motion is thus smooth, nearly noiseless and green. In addition, the occupant of the vehicle sits perched in a cockpit and operates the vehicle. He sits in a swivel seat, and he enters or leaves through a port at the rear of the cockpit. 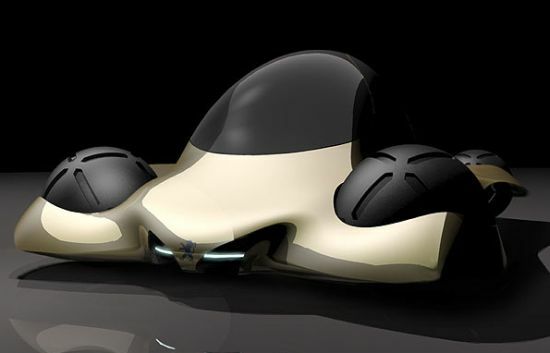 Eco Factor: Concept car runs on hydrogen fuel. 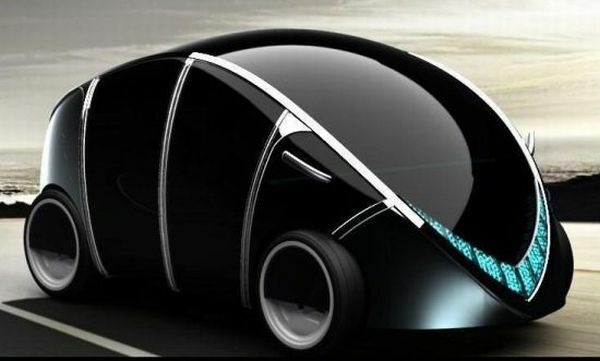 Here is yet another eye catching concept car, can’t say whether it will ever see the real roads, but if ever came into existence, it will be cutting edge design in the automobile world. Utilizing “state of art” technology “Peugeot Sphe’ra” boasts of some special features like a maglev system for propulsion. 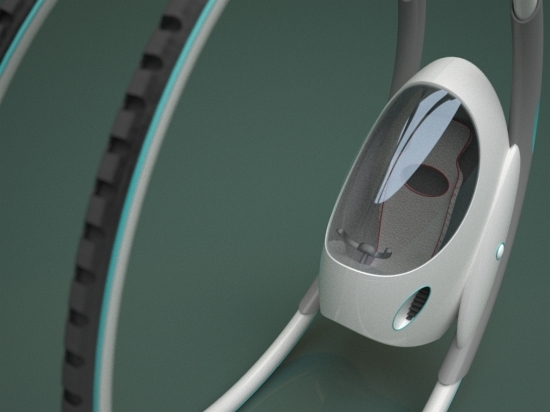 The most unique feature is its spherical wheels, which are controlled by electromagnets incorporated inside every wheel which surround the wheels like a ring of magnetic field that also works as suspension. In short, while on drive, the vehicle is completely floating on a magnetic field. 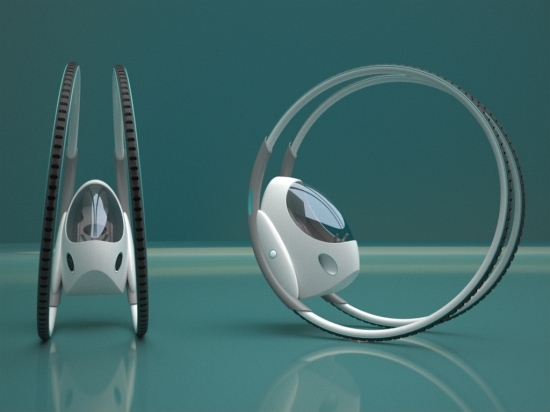 Spherical wheels can rotate around their own axis and also allow the car to move in any direction. Moreover, it also means that there would be no need to reverse the car in order to turn back. 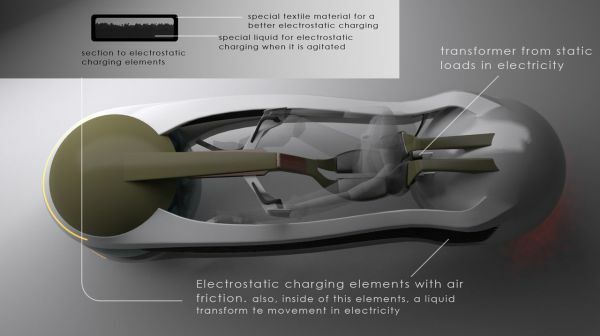 Still more, the car is powered by electricity provided through a hydrogen fuel cell situated in the bottom of the car. It can carry three passengers at a time with the driver in the front and two on the back seats. We don’t have sufficient specifications to leave some comments about the concept. However, the design sounds too futuristic to materialize.